We have had a wet spring here in Emerald. The locals say this spring reminded them of the 1970’s. 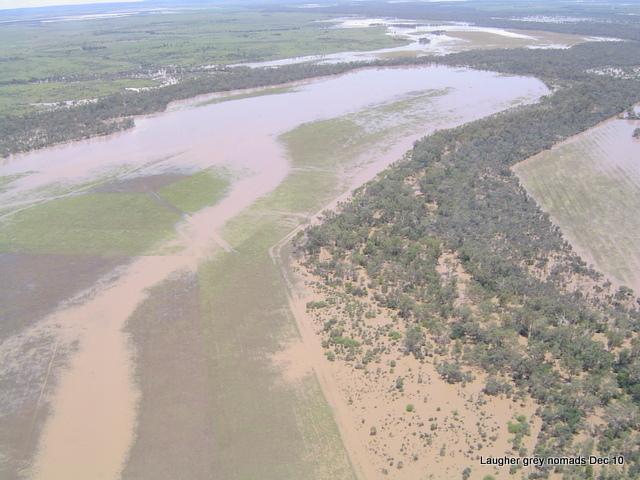 On Thursday night of last week the whole district got a 200mm+ drenching and all roads out of Emerald were cut. Just to get to work I had to drive thru 500mm of water in the low lying intersections in town. A work mate drowned his car (same model as Rod’s) and he still hasn’t got it going yet. 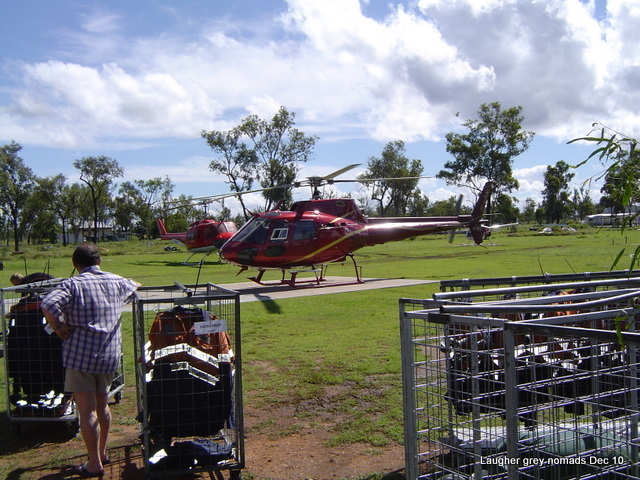 Some of the mines that my job services ordered helicopters to get the clothes out so they can keep production going. Two of my work mats flew up to Moranbah North on Saturday and ended up staying the night as the chopper pilot was flat out and ran out of hours. 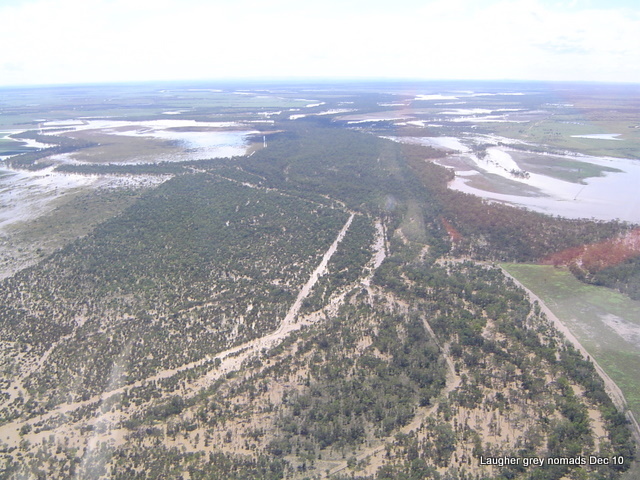 On the Sunday I went out to Crinum South Mine, a 20 minute flight from Emerald airport. 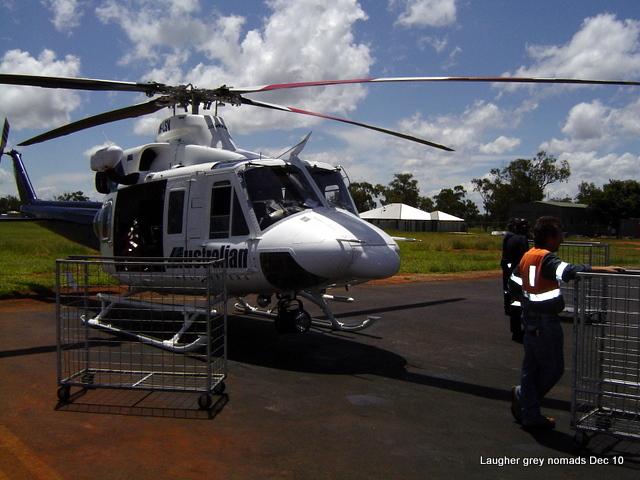 The Bell 412 chopper was brought in by BMA. 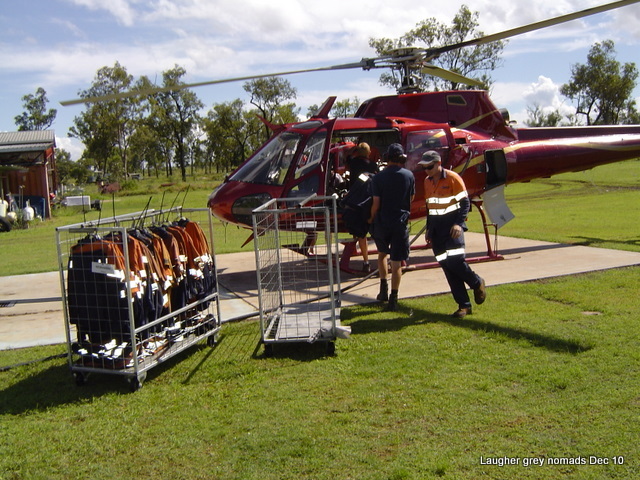 We took clothes for their Broadmeadows mine that is north of Moranbah. They sent a van down to Crinum as this was the closest mine to Emerald with a helipad. Flight was smoother than the light planes I have flown in. The water that was cutting the roads out of town was as far as the eye could see. By Monday morning we were able to head north by going out through the Gemfields to our west. 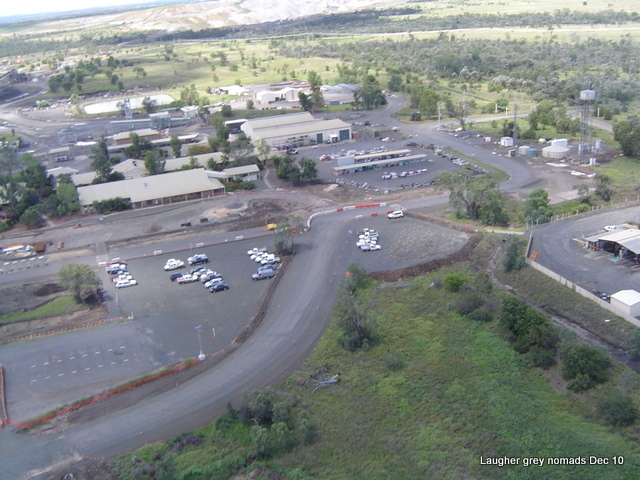 In the afternoon both the road from Rockhampton and the Gregory highway heading north to Capella, Clermont and then onto Moranbah was reopened. We spent the rest of the week catching up but by Friday things were back to normal. Could be a fun time in January when our official wet season actually starts.